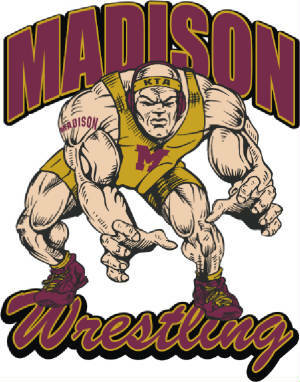 Practices held Tuesdays and Thursdays from 5:30-6:30pm in the Madison HS Wrestling Rooom, beginning November 13th. We will work on the fundamentals of the sport, while focusing on having fun, being a good sport, understanding self control, and learning mental and physical toughness. Our emphasis is on fun while allowing participants to gain a feel for the sport.